There are many reasons why the need for spy camera apps is increasing in this era. Everyone has different situations in life when a person surely needs spy camera app. Therefore, you need to know about the best spy camera apps for iPhone and Android which you can use at the time of need without any worry. Spy camera apps can help you in many ways and provide you the desired objectives and results in a proper manageable way. You can use different spy apps to know about someone and make secret future records in form of videos and pictures. In below, you are going to come to know about various amazing apps which provide the best spy camera functionalities in iPhone. It is a best-known app which you can use for spy purposes. You can use it to take photos or videos of anyone without the possibility that he will know it. It works in the great way that no one can understand that you are making a video of anyone. You need to activate ‘Spy mode’ to start making videos, and it opens a web browser and it looks that you are browsing any site, but you are capturing the video in real. Additionally, it can make the screen completely black during the operation of video capturing which does not show that you are making the video of anyone. You can get this app for $9.99 from App Store. It is another app which is well known for its silent photos taking features. You can use it to make shots without producing any sound. With this app, you can schedule a video recording at a specific time, it supports front and back camera and has a full HD video recording. 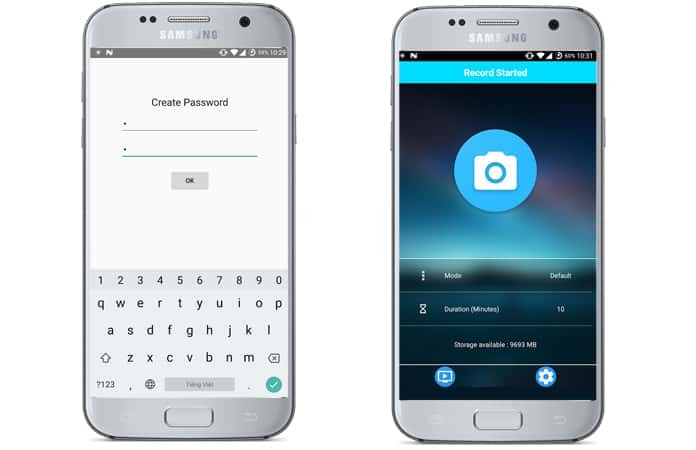 It also provides passcode lock capabilities and recovery mode options which can help you in many conditions to save your photos and recover them if deleted. So, you need to use this Hidden Camera app when you are going to shot many pictures of anyone secretly. One of the most downloaded spy camera apps is Alfred Security Camera. 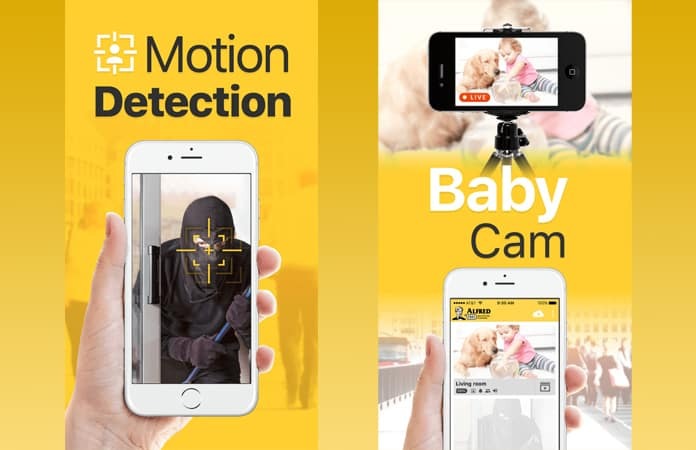 Whit this app you can stream live video wherever you are and the motion sensor will keep you alert if anything strange is happening in your home. If you have a new smartphone and you don’t know what to do with your old one, don’t throw it away. With Alfred, your old iDevice can have a fruitful second life and serve a new purpose. This app is compatible with iPhone, iPad, iPod, and Android devices. There are few other apps too but Live Cams Pro app is the right choice when you want to capture videos and images anywhere and anytime. 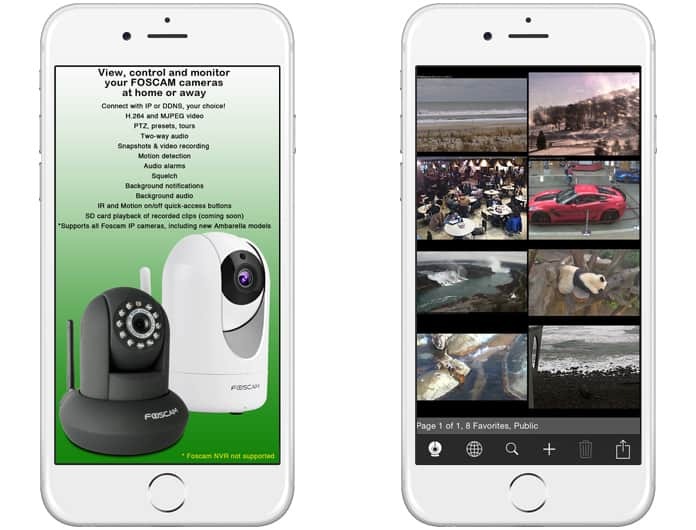 Live Cams Pro is the most advanced Foscam and IP camera viewer app on the store with support for hundreds of other IP camera models. 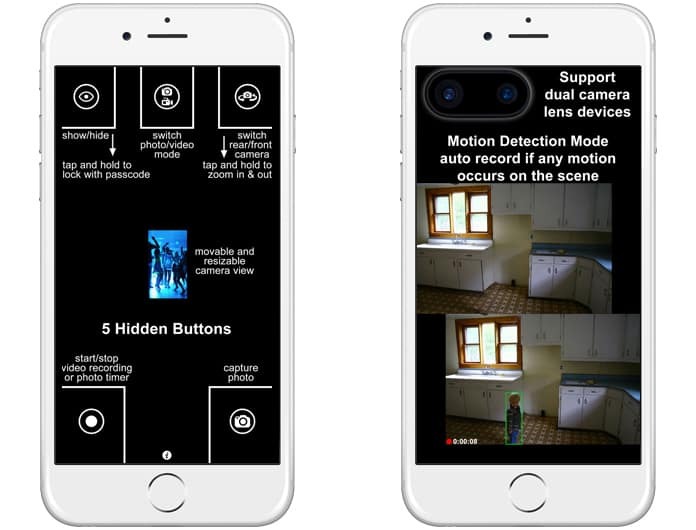 This app has background audio and motion detection and provides you the precise needed results too. So, you should try this app and get better quality spy output and all this for just $2.99. It is fantastic app when you are going to make spy camera videos. You can take advantages of different features of this video security app. With this app, you can keep an eye on your home base in real time, and it can send you alert when there’s something suspicious going on. 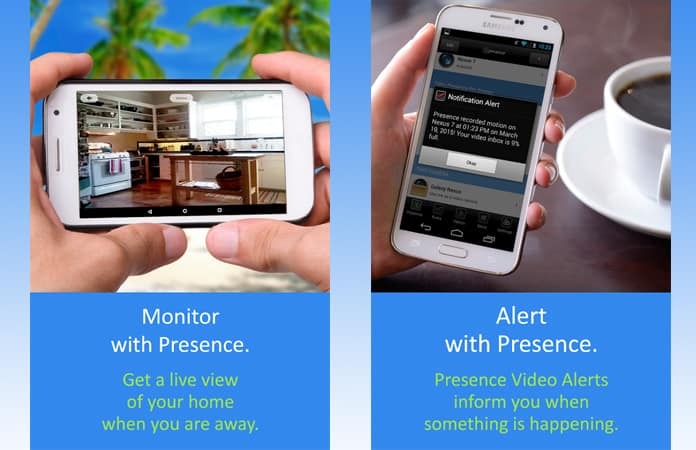 Now, you don’t have to throw your old smartphones, you can use it as a baby monitor, nanny cam, pet cam, surveillance cam, or do-it-yourself security system and all that thanks to Presence app. This app is compatible with iPhone 3GS and newer, iPad 2 and newer and iPod Touch 4G and 5G. 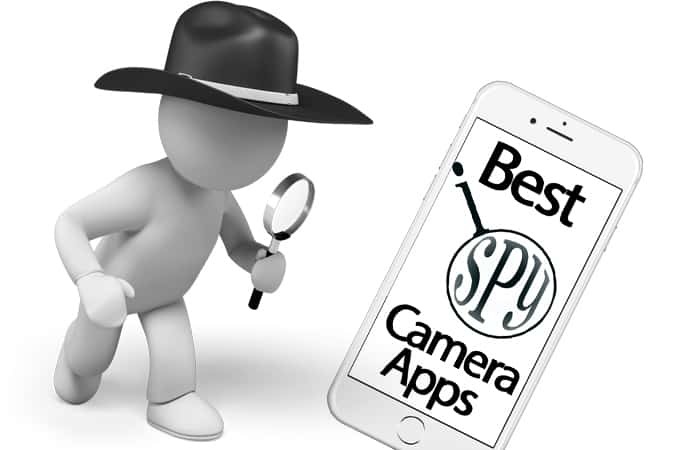 There is a countless number of spy camera apps for iOS and Android, and choosing the right one can be a challenge to many users. For that purpose, we gave you a list of the best spy camera apps for iPhone and Android.